NUTRIENT SUPPLEMENTS - The Home of Plant Based Eating for Fitness, Health and the Most Amazing YOU Ever! We will all at some point or another in our lives need the extra support of a nutrient supplement for varying reasons. This can be even more true for those eating a plant based or vegan diet, are sick or have low immunity, or are doing lots of exercise or training; and that’s not to mention the fact that most just don’t get the vitamins and minerals they need from diets often overloaded with fast foods and refined sugar. Also, a person engaging in hard exercise will burn off more nutrients than a sedentary person, and therefore may require supplementation of certain amino acids such as L-Glutamine, L-Arginine, or L-Carnitine in order to build muscle mass and to make it possible to be able to keep going at it hard. 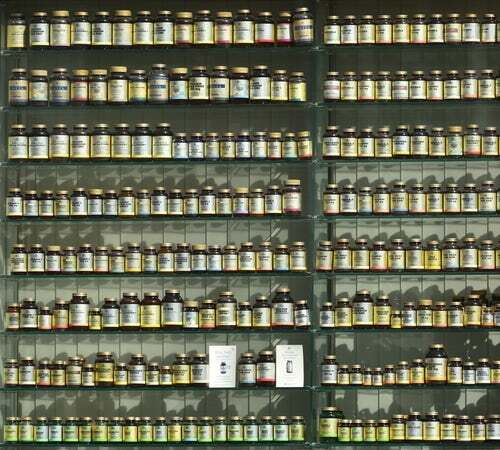 The posts in this section will help provide you with all the information you need on whether these supplements are right for you and your particular situation. Plant based eating (and the vegan diet) can mean you may be missing out on certain nutrients, which will be especially true if you’re not educated on proper food combining practices. The main vitamins that vegans and plant based eaters are often lacking in are B12, vitamin D, calcium, iodine, iron, zinc and long chain omega 3 fatty acids. Making sure you get an adequate supply of all of these will be even MORE important if you are in training, therefore learning about, and understanding your food groups is absolutely vital for your long term health. You can also find all the information you need to do this safely and healthily through the other relevant categories on this website. What are L-Glutamine Benefits and Side Effects? L-glutamine is one of those buzzwords in the fitness industry that seems to be highly acclaimed for its ability strip fat and build lean muscle tissue. In this post we will take a deeper look into L-glutamine’s benefits and side effects so you can decide for yourself whether this supplement is right for you and … Read moreWhat are L-Glutamine Benefits and Side Effects? What are L-Carnitine Benefits and Side Effects? You may have only heard about l-carnitine if you are in the health and fitness industry, where it is most widely used and talked about for its performance enhancing effects and fat burning qualities. But let’s take a look at the science behind the hype and see if this really is a supplement worth its … Read moreWhat are L-Carnitine Benefits and Side Effects? What are L-Arginine Benefits and Side Effects? L-arginine is most commonly known and used in the fitness industry for its ability to stimulate the release of growth hormone. Hence the reason why it is used in the body building world for enhancing stamina, strength, and performance. In this post we will discuss in more detail l-arginine benefits and side effects so you … Read moreWhat are L-Arginine Benefits and Side Effects? Glucosamine Sulphate is a compound that occurs naturally in the fluid around your joints and it helps to build cartilage, ligaments, and tendons. It’s also found in shellfish shells, which is the common extracted form that is often used in supplements. This is because it is the same actual raw material our joints and … Read moreWhat are the Best Glucosamine Supplements?